For some, the word “elderly” is associated with limitations, retirement, and frailty. However, Elsie Lomong-oy of barangay Kin-iway, the center of the town of Besao, Mt. Province, thinks nothing of this, despite being 60 years old herself. “[Age] is just a number and it challenges me to do even more,” she said in her local dialect, while she fixed the glasses perched on top of her head. For most, it may be more than enough to keep a woman of her age occupied, but not for Elsie. In between juggling her time between her family (she is a wife to her husband Agustin and a mother of three) and her work (she serves as a treasurer in a local organization), she also serves as a community volunteer for the Kapit-Bisig Laban sa Kahirapan-Comprehensive and Integrated Delivery of Social Services (Kalahi-CIDSS) in their barangay. Kalahi-CIDSS is one of the poverty reduction programs of the Department of Social Welfare and Development (DSWD). As a program that uses the community-driven development (CDD) strategy, it mobilizes citizens so that they themselves have an active role in the development process, particularly in identifying solutions to problems affecting their community’s poverty situation. Elsie became a community volunteer in 2012 when the Kalahi-CIDSS started its second year of implementation in Besao. Like many others who tried volunteering in Kalahi-CIDSS, she said it was the system of how the program was being implemented that initially attracted her to participate in it. “It was different from other government projects. We really have control over our sub-projects and how it is implemented. We are involved,” Elsie stated. However, many in her village did not last as community volunteers, she lamented. According to Elsie, because the program relies on volunteers, there was always a lot of work to be done, but Kalahi-CIDSS does not offer monetary compensation for them, dissuading many of the early volunteers. However, she stayed for one reason – her community. “I value my community. I want it to be developed from within, for people to see the value of development,” Elsie said. Initially, she was a member of the Project Preparation Team, where she said she learned how to make proposals and process them. Currently, Elsie is a member of the Bids and Awards Committee. Even as she helped her community, Elsie realized that she was also able to get something from the Kalahi-CIDSS. “I thought I was only helping the community but I realized I was also growing,” she mused. The elderly lady related how she felt a strong sense of empowerment when she first stood and spoke in front of the community assembly. She said the experiences and learnings she gained as a community volunteer of Kalahi-CIDSS were more than what she expected. “I keep telling others, especially the youth, that they should volunteer because they can help the community and themselves as well,” she said. Besao Mayor Wellington Pooten, the chief executive since the Kalahi-CIDSS started in the town in 2011, has nothing but good words for the elderly lady. “Elsie is a very active member of the community. She joins all organizations and does not ask for any incentive or pay for what she does,” he said. Kalahi-CIDSS Area Coordinator Roxan Ramirez also has similar words of praise for Elsie. 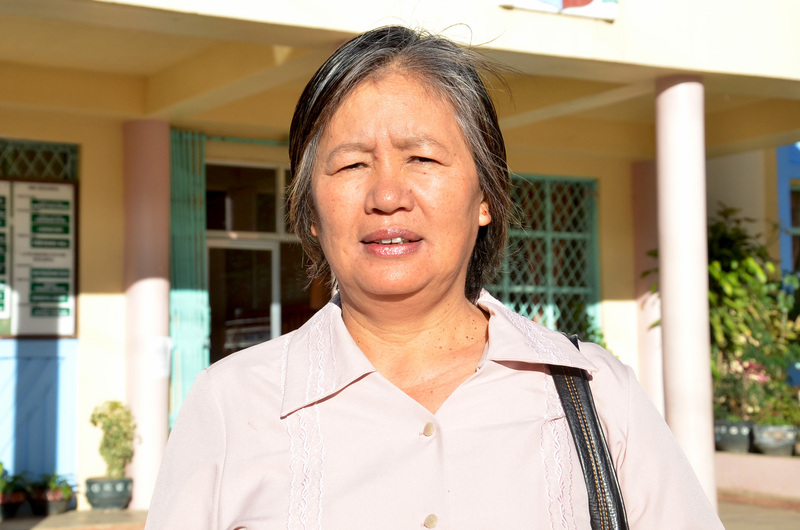 “Manang Elsie is one of the most active members of the community. She is very keen on transparency, especially in paper works. I never noticed any problems on her work,” she stated. On December last year, Elsie was chosen as the “Best Senior Citizen Community Volunteer,” a special award of the first BayanI ka! Awards. On January 23, she received the award from no less than Secretary Corazon Juliano-Soliman in a ceremony at the AIM Conference Center in Makati City. 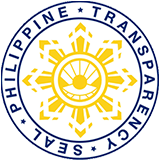 The award giving body is intended acknowledge contributions of ordinary persons and groups representing such community sectors, as persons with disabilities (PWDs), women, and indigenous peoples (IPs), in alleviating poverty among Filipinos. “The picture of my community should change. Many are not willing to volunteer, but a few do. I just want to help even just a little,” Elsie said.